(CN) – The Campaign Legal Center said in a report released Wednesday that U.S. elections are still vulnerable to foreign interference and the group called on Congress, federal agencies and social media companies to take action to prevent meddling in this year’s midterm races. Speakers on the conference call discussed the 48-page report, which stems from a CLC conference held last year where legal experts, academics, journalists and practitioners from various disciplines met to discuss foreign interference in U.S. elections. According to the report, the digital age poses new problems for campaign-finance laws and disclosure requirements, which became evident through secret foreign spending on digital political ads and the dissemination of social media messages through automated “bots” during the 2016 presidential election. Facebook, Google and Twitter have been under fire for foreign-generated content connected to Russian operatives during the 2016 campaign, in which Republican Donald Trump beat Democrat Hillary Clinton to win the presidency. 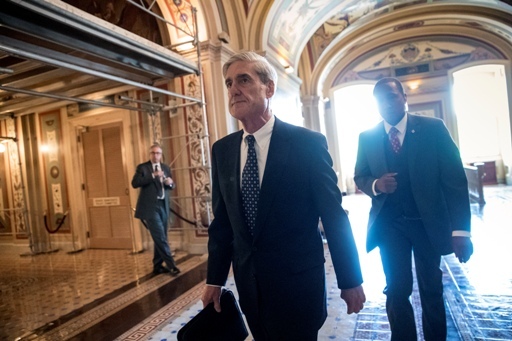 Multiple investigations are now looking into possible collusion between the Trump campaign and Russia, including probes in Congress and one headed by special counsel Robert Mueller. The CLC report says the Federal Election Commission and internet platforms need to fill the “digital gap” in campaign-finance laws and require political advertisers to be transparent and identify themselves to voters. The group urged Congress to pass the bipartisan Honest Ads Act, which would require disclaimers and disclosure of digital ads that mention a candidate shortly before an election, just like TV and newspaper ads. Social media bot activity also needs to be researched more, according to the report. The CLC also focused on the 2010 U.S. Supreme Court decision in Citizens United v. FEC, a 5-4 ruling that found the government cannot restrict political spending by corporations and unions. The elections watchdog says the Citizens United decision has undermined American democracy and notes that at least $800 million in “dark money” has been spent on U.S. elections since 2010. Wednesday’s report advocates the importance of viewing foreign election interference as a national priority to defend American democracy and calls for an effort to secure and modernize voting equipment and election infrastructure as a proactive measure. “Just because we were attacked one way in 2016 doesn’t mean we’ll be attacked the same way in 2018,” Max Bergmann of the Center for American Progress said in the conference call. The CLC notes that addressing threats to U.S. elections and democracy is not the job of any single entity. “Congress must react to these threats and also be proactive in anticipating future vulnerabilities. The FEC must do its job in enforcing the law, which includes responding to new challenges presented by the digital age. Internet companies must fully come to terms with the power of their platforms and work with government to protect against those seeking to do our democracy harm. And we all must ensure that voters have the tools to critically evaluate digital information,” the report states. “Unless all of these actors begin to work toward solutions, there is every reason to believe that the actual or attempted foreign meddling of 2016 will become a much greater threat in elections to come,” it continues. Founded in 2002, the CLC is a Washington D.C.-based nonpartisan, nonprofit that advocates for American democracy through litigation, policy analysis and public education.